We include a brief for your information - 'ABC Transport - capability statement'. Our service includes refrigerated, dry, and general freight. We can offer full loads, part loads and wide loads. We are proud to be operating a modern fleet. 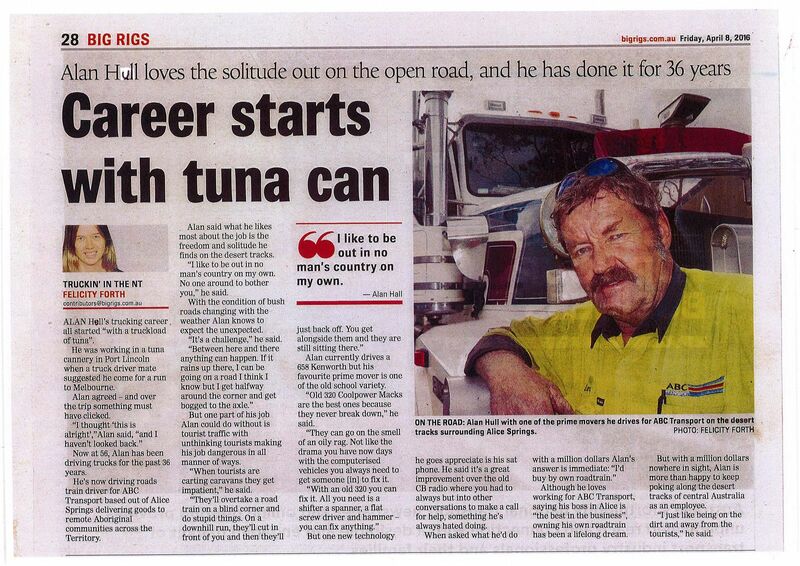 Working in a niche market has ensured we provide a strong, foccussed offering, catering for transport logistics in regional Australia. Our organisation is as large as it needs to be to provide an efficient, highly tuned level of service. Our flexible workforce ensures our capabilities suit demand. Our respected and personal team ensure our company can maintain exceptional client relationships over the long term. Communication is seen as the most important ingredient in our successful management of operations. Our progressive fleet continues to evolve based on demand, allowing us to provide current high quality freight services now and into the future. Continual improvement is our focus. Competitive pricing through well managed business practice is our model. Seasoned, experienced operator, established and proud of our outstanding reputation. Pick-ups / Deliveries are only made from/to a registered business address. Depot to Depot / Depot to registered Business Address / Depot to Barge (Darwin wharf). Please click the below for more details. The FreightSafe Warranty forms part of ABC Transport's standard service offering and protects our customers against loss or damage of freight at a very competitive rate. With guaranteed quick claim settlement and no excess applied to the amount claimed, the FreightSafe Warranty offers you peace of mind in the unlikely event of your goods being lost or damaged while in transit. The FreightSafe Warranty offers you $1,500 of warranty on each and every consignment and is managed by our professional 3rd party claims administrators; FreightSafe. The FreightSafe Warranty is subject to terms and conditions, which can be found here. Many differing configurations of trailers are at our client's disposal i.e., floats, drop deck opens, drop deck curtain sides, refrigerated tautliners and pantechs. All equipment is maintained to the highest of standards. ABC Transport has a dedicated team of staff whom all play an important role in the services provided. We have a professional team of drivers who are in constant contact with management on a daily basis. All managers are contactable at any time. 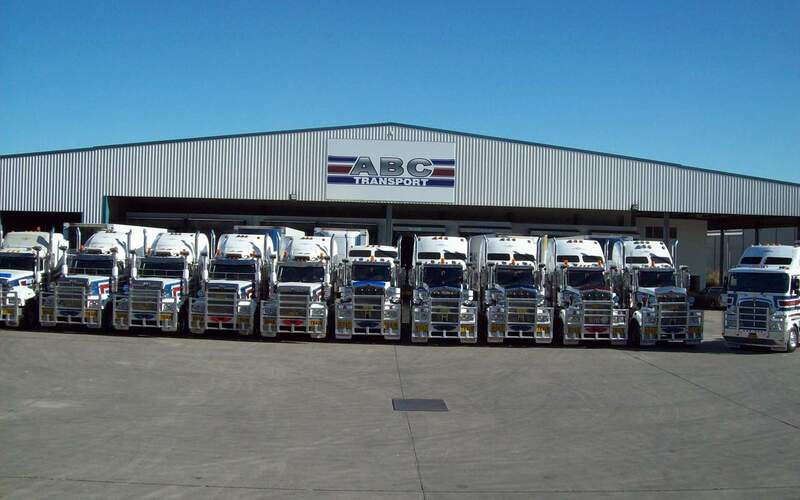 ABC Transport prides itself on the exceptional service that we provide to our customers. At ABC Transport we strive for excellence in all that we do in providing logistics solutions tailored to meet need and budget, whilst ensuring that your/our customers enjoy a continued high level of trust in your supply chain management. Our superior service delivery is made possible by the involvement from inception of our senior management team, who remain available through the life cycle of the relationship. Darwin NT new facility is now offering undercover warehousing at 'East Arm, Berrimah, complete with undercover awning/canopy. Refrigerated "Chiller/Freezer" available. Open hard stand areas able to easily handle large equipment-vehicles, the handling of containers, crates, casings or alike. The new site is equipped with security, and fences around the perimeter for maximum security. Selected ABC Transport sites can cater for any overflow/excess stock needs, and for containers/crates. We thank you in advance for taking time to consider ABC Transport as your freight / warehouse provider. If we can be of any assistance to you, please do not hesitate to contact us at any time. We would welcome the opportunity to discuss your business needs. 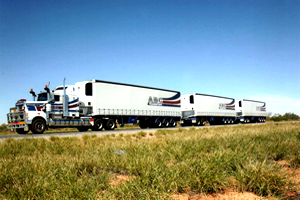 ABC Transport is a Northern Territory family owned, registered business, and has been operating out of Alice Springs since 1998. 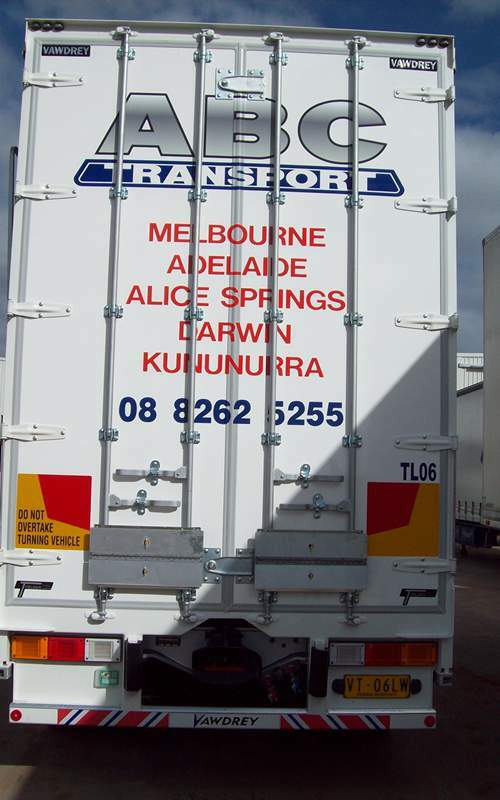 In 2006 we established an operational depot out of Adelaide. We also utilise reliable agents in our Tennant Creek and Katherine operations with services provided on a regular basis. Our business has diversified over the years to also offer warehousing as an integrated part of our service. We continue to grow and develop our offering in response to an ever increasing demand for our services. We strongly believe that our sustainable growth and success is due to our experience and depth of understanding of our industry. We are a service oriented organisation that always works in partnership with our clients.